A ruling CPM legislator from Kerala's Munnar in Idukki district sparked a major controversy on Sunday after he hurled abuses on a young IAS officer when she stopped an illegal construction in the area. Though the CMP legislator S Rajendra expressed regret for using abusive language for sub-collector Renu Raj, the party has taken cognisance of the matter and has sought an explanation from the MLA over the incident. A ruling CPM legislator from Kerala’s Munnar in Idukki district sparked a major controversy on Sunday after he hurled abuses on a young IAS officer when she stopped an illegal construction in the area. A video of the incident, wherein the MLA can be seen saying that the IAS officer doesn’t have the brains, has gone viral. The MLA alleged that she has no powers to intervene in the construction as building rules come under the purview of panchayats. Though the CMP legislator S Rajendra expressed regret for using abusive language for sub-collector Renu Raj, the party has taken cognisance of the matter and has sought an explanation from the MLA over the incident. 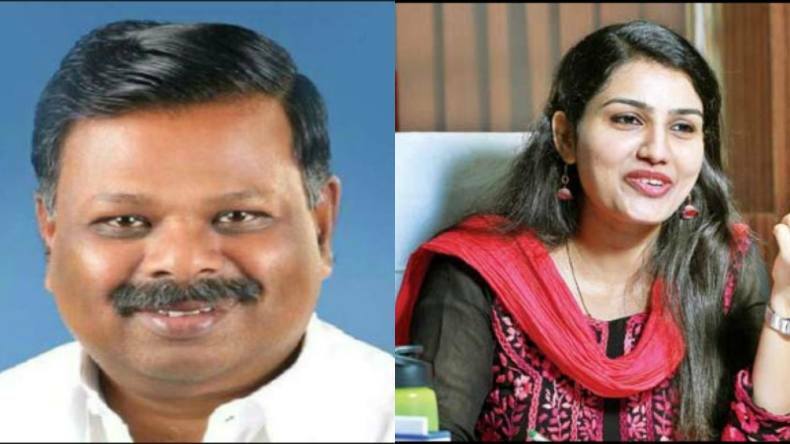 After the incident courted social media wrath on the ruling CPM, Revenue Minister E Chandrasekharan came out in support of the sub-collector saying, she is right as per the law and the government supports her action. According to reports, the sub-collector Renu will now be filing a complaint against S Rajendra to the revenue officials and will be submitting a detailed report to the high court against the panchayat for illegal construction. The Kerala High Court in 2010 had delivered a verdict mandating a No Objection’ certificate for any new construction in Munnar region. However, a 4-storey complex was being constructed in the area without the NOC. The sub-collector in November last year had issued a memo to the panchayat asking for NOC and then on February 6 to stop the illegal construction, but the panchayat ignored it and the work was still going on.